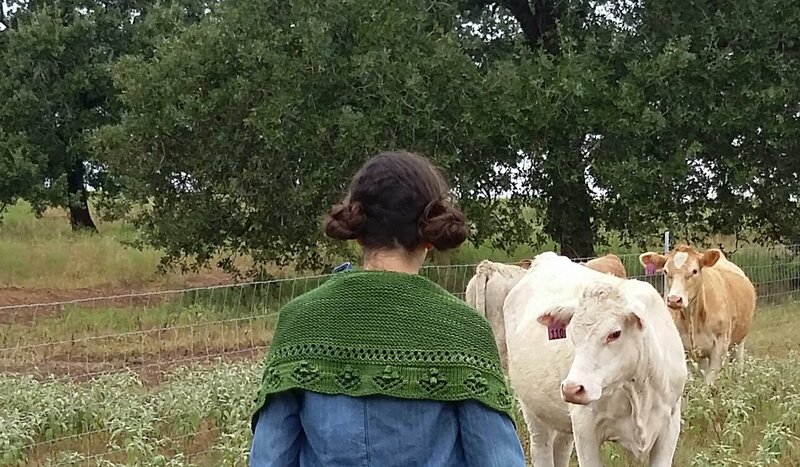 The Clarabelle shawl brings you to a gently rolling pasture with grazing milk cows and a meadow full of wild flowers. Enjoy the edging of bobbled flowers with a base of garter stitch. Sweet Georgia Yarn provides the creamy texture and drape.